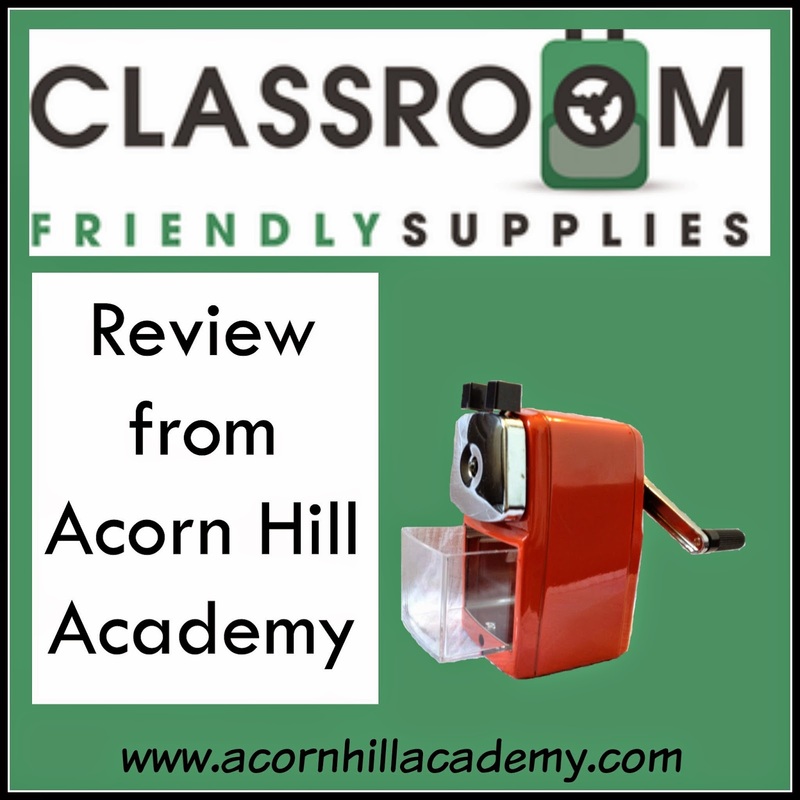 Acorn Hill Academy: You NEED This Pencil Sharpener - Really. You NEED This Pencil Sharpener - Really. It's the little things that can make days go so much better, isn't it? As homeschoolers, we use (and lose) a LOT of pencils. 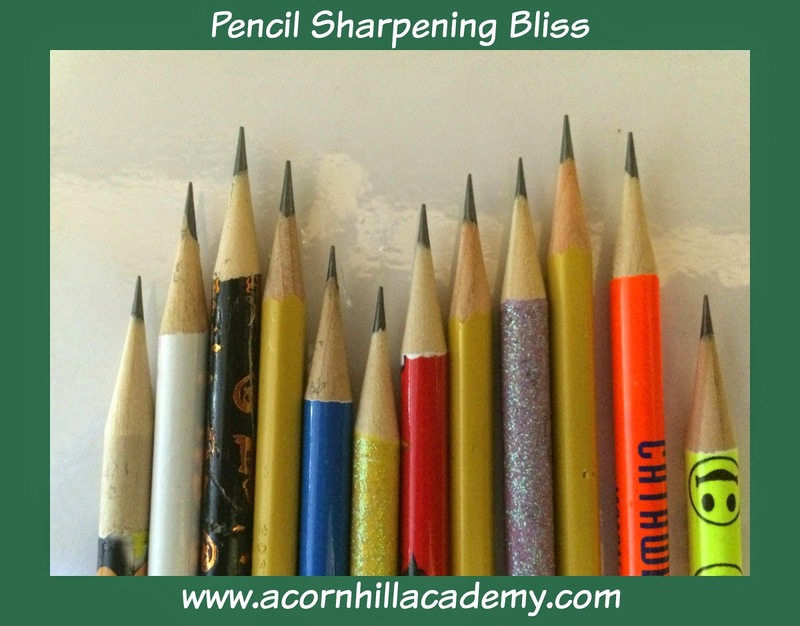 I have been on a hunt for a great pencil sharpener for a long time. I've tried electric ones (nope) and small hand-held ones (those nice silver ones are great, but messy), and I even have one of those old metal ones that we all used to have in school when we were growing up. It's loud, but it's worked the best so far. Unfortunately, in this house, I have yet to find a good place to mount it. We've lived here more than 4 years. 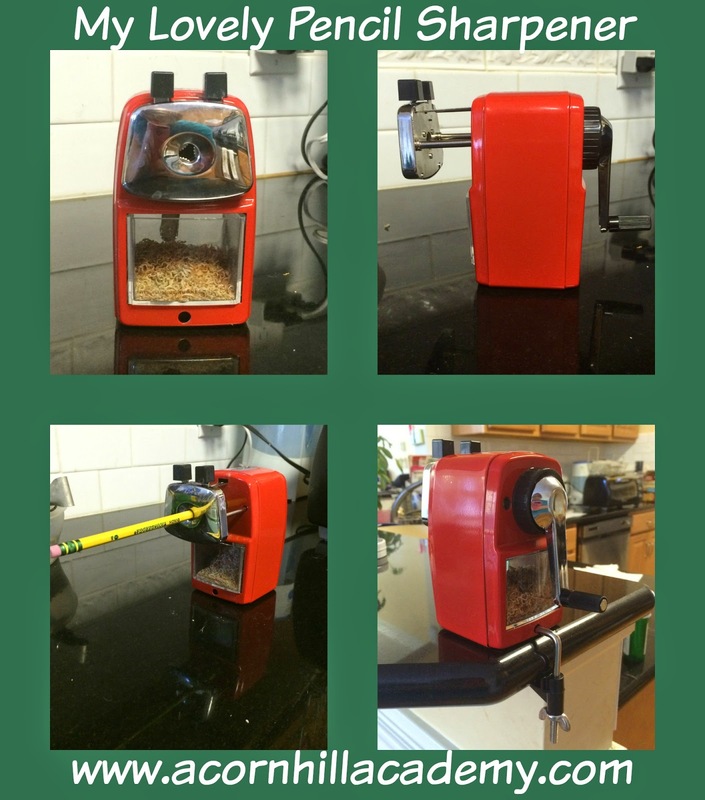 I recently contacted Troy Decoff of Classroom Friendly Supplies, and he kindly sent me one of his amazing pencil sharpeners, in the lovely shade of Firehouse Red, to review. I had heard about them from another blogging friend of mine, and wanted to see for myself how they measured up. These pencil sharpeners come with a clamp to allow mounting it to a table or counter. You can also purchase a mounting plate if you want it to stay in a permanent location. Sometimes we do schoolwork in our school room, and sometimes we work at the table, depending on the subject, so it's nice to be able to bring the pencil sharpener along with us. One great thing about this sharpener is that the blades are replaceable. You can order one set of replacement blades for $14.99, or a set of two for $22.99. It's easy to get the sharpener apart to replace them, too. My 7 year old got it apart on the first day we had it, and told me he "broke" it. That was not the case, thankfully, and it did show me that replacing the blades would be simple should the time come when it's necessary. The one issue I have with this sharpener is that it only sharpens standard-sized pencils. My little guy uses big pencils sometimes, and we have some fat colored pencils, too, and those won't fit. The good news? Classroom Friendly Supplies now has a Large Hole Sharpener! It's the same price as the other sharpeners, and works on standard size pencils, too. It doesn't mount to a surface, but that is just fine with me. It only comes in black at this point, which I also don't mind. This pencil sharpener is amazing. AMAZING, I tell you. You need one - you might need several. The good news is that one sharpener is $24.99, and you may purchase three for $53.97 ($17.99 each,a 30% discount). If you're ordering for a school (they do accept purchase orders), you may purchase an entire case of 36 sharpeners for just $13.99 each. If you have a homeschool group, or know enough people who want them, you could order together and get a nice discount. Be sure to check out their website, and connect with them on Facebook, where they share giveaways. A Tree For Peter Back In Print!! !